A copy of the original Jersey La Rocqe Boat built in 1860 Built for long-line fishing and potting . After the first world war she was fitted with a small engine and in 1940 helped evacuate Allied troops from St Malo ( France ) She was in regular use as a fishing boat untill the 1960s . In 1987 a restoration programme was begun and relaunched in 1993 as a gaff cutter. Now in the hands of the Jersey Heritage Trust. 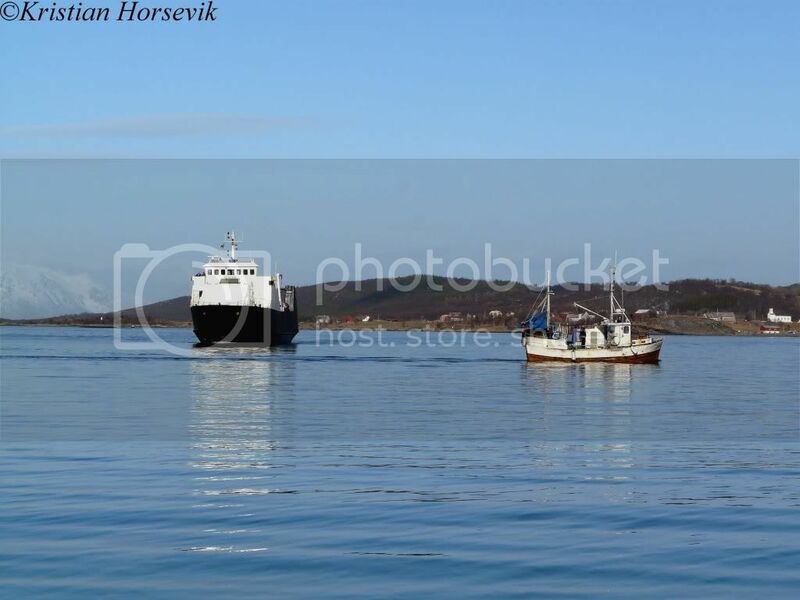 Russian trawler "Karelia II" is a frequent visitor to Kristiansund. Good eveing Forum, I´m the new one here. I has registered here because of the wonderful pictures from Fishingvessel. I´m from Germany, 44 Years old and a Model Shipbuilder. When I look here at the Pictures I´m very far away.... ;-) Thank you. Hello Matthias, and a very warm welcome to you. Hello Seagull, thank you for the nice welcome. I´m looking for a picture and will show it in that Thread. "Joana Princesa" on her way to the dock earlier this afternoon. 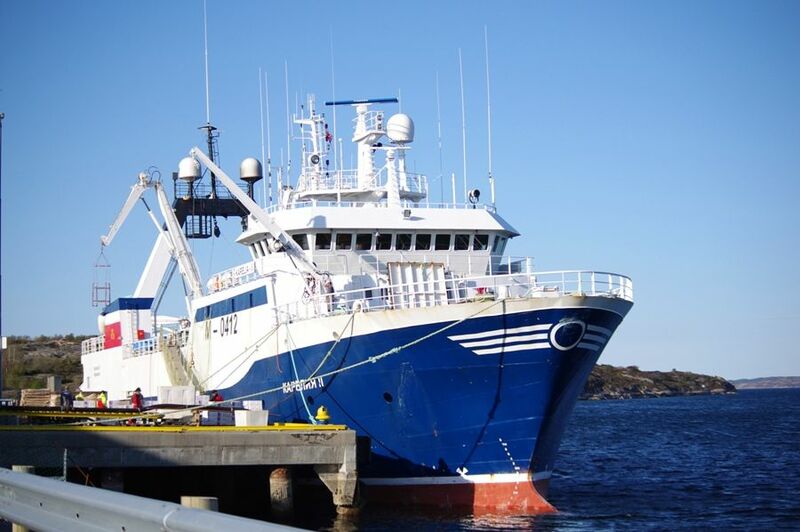 The Portuguese trawler "Joana Princesa" was brought up friday afternoon by Coast Guard vessel "Harstad" off the coast of west Finnmark. Lack of reporting of catch on board is why the Coast Guard took action. There are reports of catches as the boat is required to submit to the Norwegian government, which has not come, "said Commander of the Coast Guard in Sortland, Lars Route to NRK. Got a feeling of being observed by some of the crew when I took my pictures this afternoon. Spanish "Lodairo" passed Tromsø earlier today on her way to Andenes (Nordland county) fully loaded with fish. Yes, they do indeed seem to be looking right at you..... did you have some nice food by your side? I bet the cuisine on board that rusty old ship can't compare with anything you make. The old "Kasfjord" heading south this evening. "Ann-Brita" on her way to catch some good meat. "Harmoni" out for a little trip today, before she returned back to Tromsø shipyard. Did she come in with a load of fish or did she a test ride with ballast? These boats have RSW tanks to chill the catch so they will have nearly the same draft on departure with fuel and RSW tanks full and as on arrival with full catch. This particular one is the last active Seal Catcher in Norway I believe. Or was she on a sealing expedition to the Western Ice this year?? Asimut will probably be able to confirm the above statement and answer the question? ?